Custom Hardwood Flooring Plus has been making dreams come true for over 15 years, installing and refinishing floors from 100 - 30,000 square feet, adding new rooms to homes, and remodeling bathrooms, kitchens and basements. After all this time in the industry, we've found the best suppliers and stand behind our materials 100%. Our team of craftsmen is big enough to get your project done quickly, and small enough to make your project our highest priority. Looking for a different or special look to your flooring? 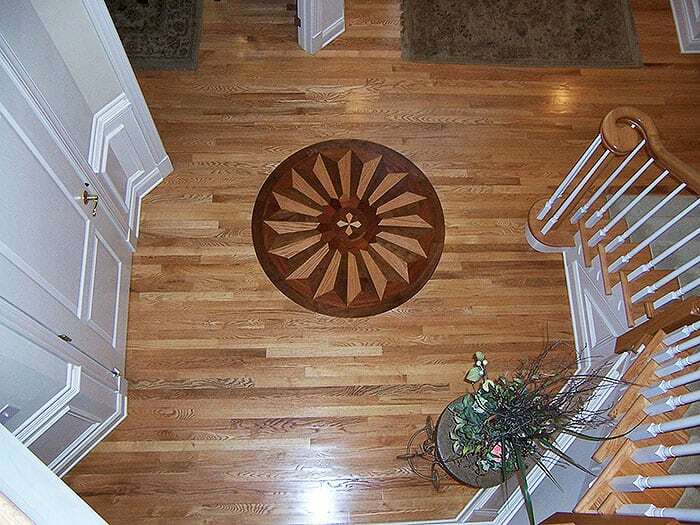 Custom Hardwood Flooring can fabricate any design on-site as an inlay, medallion or border. Our whole team is dedicated to bringing your vision to life. Your job foreman will be sure to understand your project completely and will be readily available during the entire construction process. Think of us for your renovation, remodel or complete addition. Please visit our Gallery see more projects. Call us, and we'll make your ideas a reality. © 2018, Custom Hardwood Flooring Plus, LLC. All Rights Reserved.